Apple has released iOS 11.4 beta 4 to developers and a version for public beta testers. Developers will receive the update via the Apple Developer Center, or from an OTA update. The iOS 11.4 build includes ClassKit support. Introduced on March 27th along with the sixth generation Apple iPad, ClassKit allows developers to sync Apple's school-based software with their educational apps. For example, with the not-yet released Schoolwork app, teachers can add a link that students use to get to specific parts of other apps for a class assignment. A pair of features that were found in beta versions of iOS 11.3, but removed for the final version, appear in beta versions of iOS 11.4. These include AirPlay 2, which allows the same audio to play on two different HomePod smart speakers in different rooms. Messages on iCloud allows messages to be stored in the cloud, freeing up storage space on your iOS device. And when a message is deleted on one device, it will disappear from all of your iOS powered Apple products. The latest beta release also includes (PRODUCT)Red wallpaper for the Apple iPhone 8 and Apple iPhone 8 Plus. Those special variants were introduced on April 9th. Also, Apple has announced that starting in July, all apps must be built using the iOS 11 SDK and support the screen on the Apple iPhone X. That means that an app must work with an aspect ratio of 18:9, the 1125 x 2436 resolution, and account for the notch on the top of the screen. Originally, Apple wanted this to be done by April, but has apparently extended the deadline by three months. You have nothing interesting to say. Then don’t say it. But good I am happy they are enforcing this rule. I can’t wait to see iOS 12, hoping for pencil support, split view, and picture in picture for Iphone. 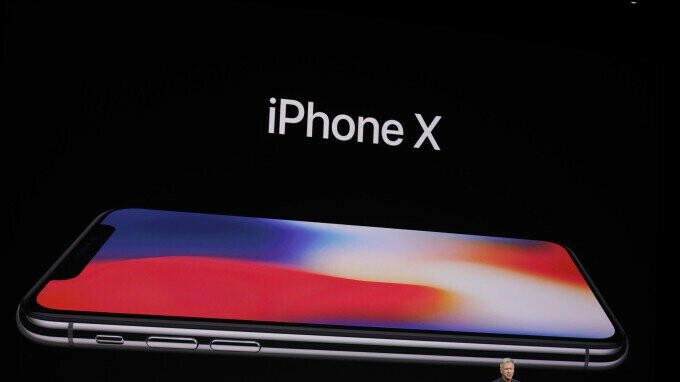 I want that 6.5 X Plus, if it materializes. As for this new rule, it only makes sense...support their big dog...can’t blame em for demanding that. Spilt view and multitasking not useful in small screen. Maybe not to you, but I spend my money on my phones...not yours. It happened to the iPad, with iOS 9...come again. Agreed. Can't have apps not supporting the #1 selling phone in the world. Consistency. Something not found in the software ghetto known as the play store. Nice. Nothing wrong with making sure that all apps will support the notch. It’s the aspect ratio more than anything.